Is it history or legend, is it represented at Rosslyn?. Hiram Abif, the master mason was slain by three fellow craft masons. The Rosslyn apprentice was killed by the master mason. Hiram Abif was the widow's son. The Rosslyn Apprentice had a mother. Both were killed by a blow to the head. Hiram was killed for failing to reveal his secrets. The Rosslyn apprentice was slain because of the jealousy of a master Mason. Hiram was struck three times on the head. 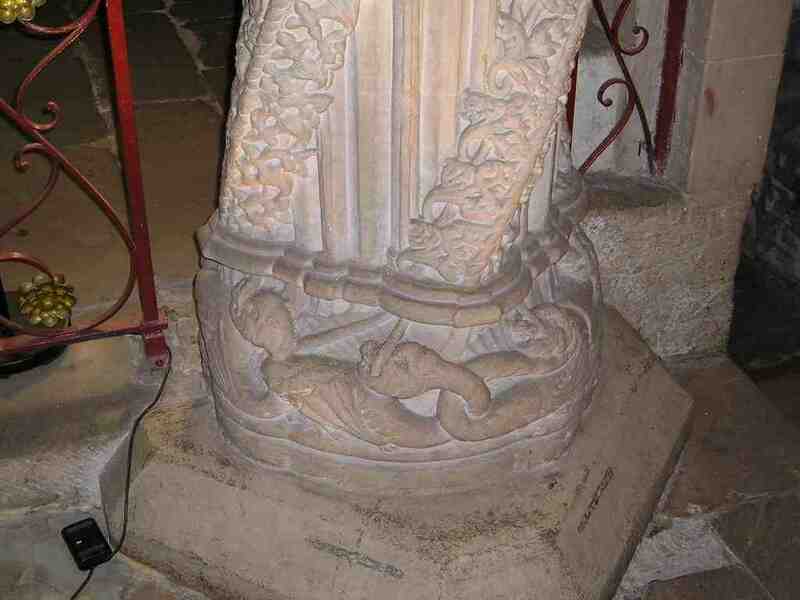 The Rosslyn apprentice carving appears to show a single wound. The Apprentice's and Master Mason's pillars may represent the twin pillars in the temple of Solomon, though some have suggested that the third pillar may symbolise the fellow crafts. 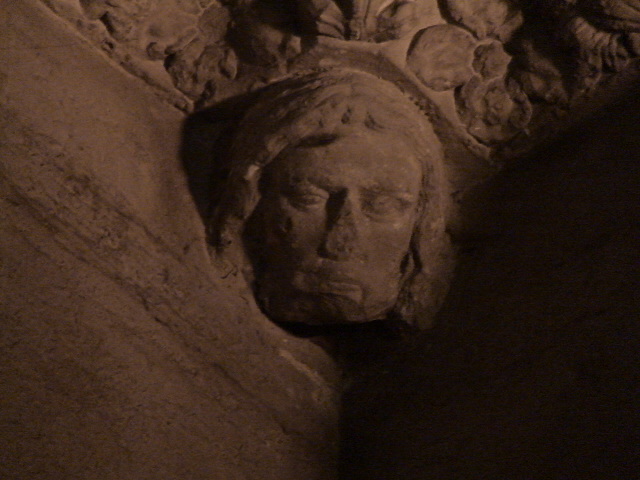 There are similar stories of jealous masters, for example at Seton Collegiate Church. Over all there are similarities but also dissimilarities, I leave it to you to decide what is represented.